2 activites (RAFTING and HYDROSPEED) during the same day to have fun on white water ! The Integral descent of Isere in RAFTING on the morning, SPORT version: simming exercice, raft turning, bumps, wheeling, even onboard of the raft, you'll have a taste of water ! Then, in the afternoon, 12 km of descent in HYDROSPEED this time, to feel the river from the inside, with on program the most beautiful sections : the rapids of Aime (class IV), the Gorges de la Pucelle and the rapids of Centron (class III/IV). Meeting at our white water base at Centron in the Valley of the Tarentaise in Savoy, for an intense day and envoy the best of the white water sport's in SAVOY ! Located at 45 min from Chambery, 1h from Grenoble, 1h15 from Annecy. Sporty people, good swimmer, white water sport's lovers, in search of a sporty and intense day. Previous experience not obligatory, but strongly recomended (to enjoy completely the day). 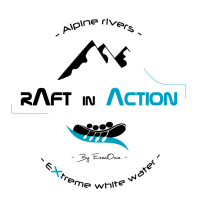 Meeting at 8h30 directly at our white water base at Centron in the valley of the Tarentaise. The day takes place on the Isere river, meeting at our white water base located à the finish of the course. On the morning, let's rafting with a muscled and playfull sailing one of the most beautiful course for practice rafting. Everything is review to enjoy to the full of this activity : safety exercise first of all to learn how to be the most independant possible, then come fun and pleasure with some surfs, bumps, 360° right in the heart of those two sections of rapids. Arrived at the base, we take some rest, we eat something, we recharge our batteries, a little nap, and there we go ! Here we go again ! This time, it's right in the heart of the element that we negociate the rapids identified in the morning. And once lying on his float, close to the water, it's another matter ! If the waves, the rolls and rocks seemed big in raft, they're huge in hydrospeed !! It's just pleasure and fun for this second run of the day : intense currents, surfs, stops, the siling bases stay the same, but the sensations become finer, we handle ourselves the trajectories.  One day full of action to enjoy two of the most beautifull white water sports !